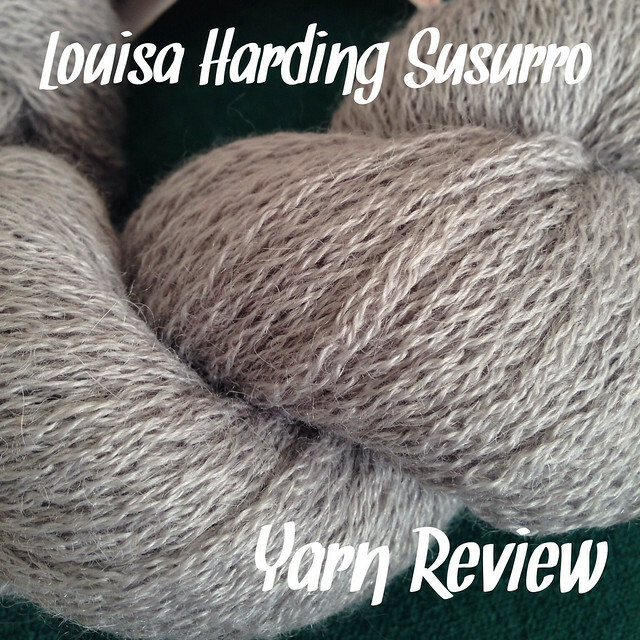 When I was asked to review a new 100% alpaca yarn from Louisa Harding, I readily agreed. I haven't used Louisa Harding yarns before, and this is a yarn that looks a lot like an icord (I love icords), and I hadn't used one of those either. 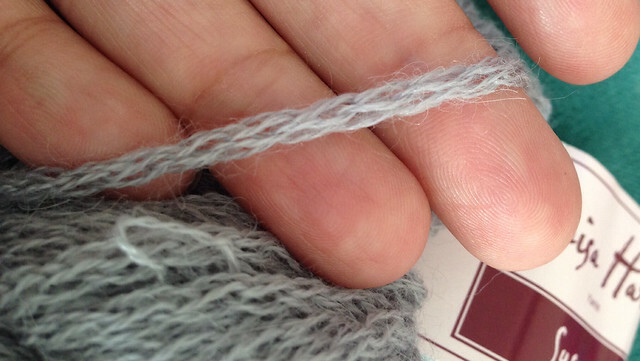 The Details: The yarn arrived in a 50g / 90m hank, with a recommended needle size of 6mm. It can be hand washed at 30 degrees but not tumble dried. Gauge is 18sts x 24 rows to 10cm. The yarn is priced at £6.25 per hank from Black Sheep Wools where it's available in twelve different colours. 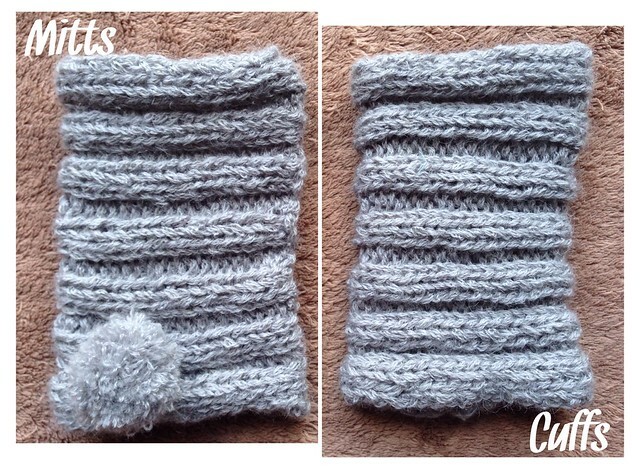 You can probably see from the photos that it is a very light, soft and fluffy yarn with a slight sheen. It is also clear that it snags really easily - there were a few pulls before I wound it into a ball, and I had to take my rings off to work with it. I made the mitts 2-at-a-time (from either end of the same ball as I didn't know quite how much I'd need) and they were constructed as follows. Total time was a couple of hours, so a nice quick fix! 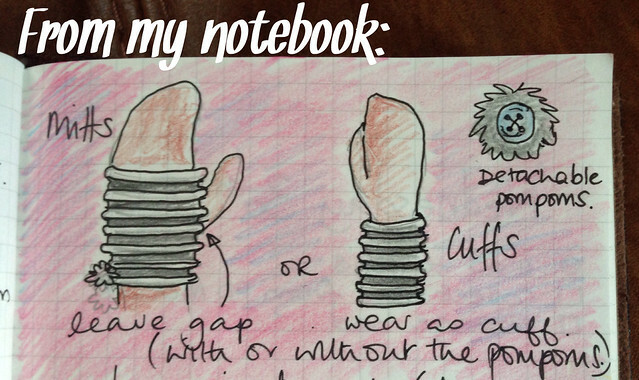 After completing the project, there are some really clear pros and cons to this yarn. - It is really easy to snag which is really the only real downside for what is a lovely yarn, and because of this, care is needed when knitting as it's easy to put the needle through the yarn. Overall I like it and the feeling of the knitted fabric is wonderful. (Did I mention how soft it is??) I am thinking about getting more to make a hat as it feels lovely against the skin. However the snagging is an issue that can't be ignored. You'd need to choose wisely when deciding what to knit with this... and you'd have to stay well away from cats!!! Ooo, that looks like such lovely wool, but can you imagine if the cat got it! Ouch! I love that you made them both at the same time from either end of the ball, I do that all the time for little matching things and my family told me I was nuts. Apparently not. If you do it too I feel completely vindicated!